The NEW ERA of bum wine is HERE! As announced this past week, Bumming with Bobcat has made the move to the Spreaker platform for all future live broadcasts and podcasts! We are still working out the kinks with the new system, but it's not stopping an ALL NEW edition of Bumming with Bobcat from hitting the airwaves this week! The BIG NEWS this past week was the announcement of the NEW MD 20/20 Cans that will be coming soon! What does this mean for the world of bum wine? This announcement ... See More comes fresh off the tails of the rumors of a NEW Thunderbird Wine that's coming soon as well. We will wait and see what these developments bring! 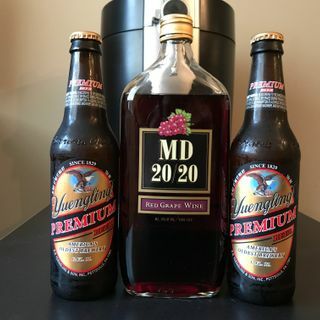 We wrapped up July with MD 20/20 Red Grape Wine as the special bumwinebob.com birthday bum wine of the week and kept the party going with Yuengling Premium as this weeks bumwinebob.com beer of the week! Make sure to check both of them out and enjoy! I’m bumming with Bobcat right now! !